On Thursday 31st January 2019, Helen Laverty, Professional Lead for Learning Disability Nursing in the Faculty of Medicine & Health Sciences, was at Buckingham Palace to receive her MBE from the Duke of Cambridge, after being recognised in the Queen’s Birthday Honours list. Helen is a passionate advocate and supporter for those living with a learning disability, she has been influential in the education and development of more than 700 learning disability nurses at Nottingham. She is also the founder of Positive Choices — the only national network of learning disability students, academics, employers, people with a learning disability and families in the UK. 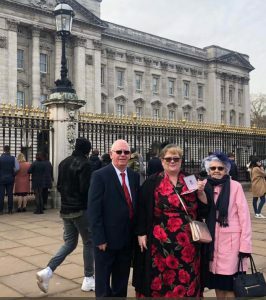 “As I was walked with my family through the doors of Buckingham Palace and took the grand stair case up to the long gallery I found it hard to believe this was real! 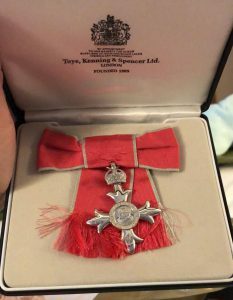 All I have ever aspired to do was my best, something instilled in all of us as children and now today my best was deemed good enough to be recognised by the nation. I could write for ages about how as an academic the day was so important, but for me it’s more about my roots as a learning disability nurse that makes this achievement so much more, especially as this year our profession celebrates 100 years as a recognised and mandated field of practice in its own right. The palace staff treated everyone with the utmost respect and before long we were led to the anteroom at the side of the palace ballroom and it was my turn next. The lady ushering in asked if I could see my family (which I could) and told me to blow my mum a kiss! That seriously brought me back to the here and now! 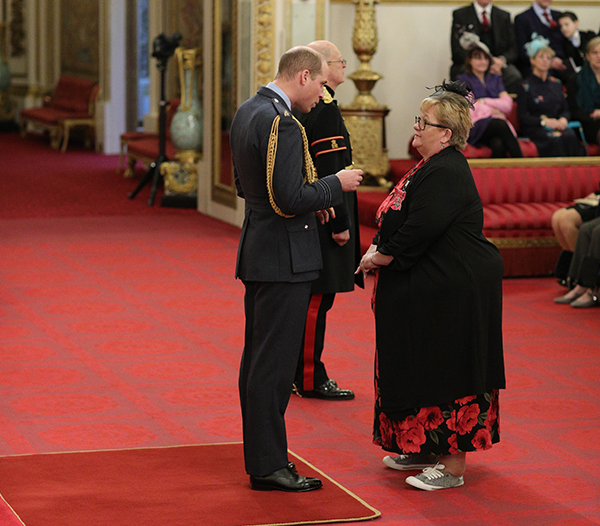 So with head held high but still rehearsing the protocol of addressing Prince William I walked forward to receive my medal. The Prince threw me slightly when after congratulating me asked if I thought the para-olympics had done much to make Britain a more inclusive society? So never one to miss an opportunity I gave an honest opinion (apparently, according to my daughter, with my teacher hands discreetly gesticulating!) Prince William thanked me for my honesty and asked me never to lose my passion!